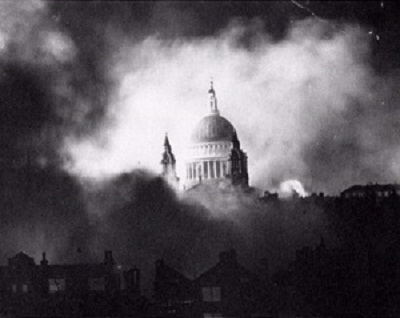 St Paul’s Cathedral occupies a special place in the English identity especially in the Second World War when it managed to survive the Blitz and became a symbol of resistance. 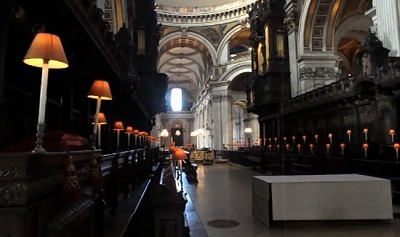 There has been a Cathedral on this site since AD 604, The present Cathedral built in a English baroque style by famous architect Sir Christopher Wren is at least the fourth to have stood on the site. It was built between 1675 and 1710, after its predecessor was destroyed in the Great Fire of London. St Paul’s Cathedral is an Anglican cathedral, the seat of the Bishop of London and the mother church of the Diocese of London. The cathedral has been at the centre of many famous events including the funerals of Lord Nelson, the Duke of Wellington, Sir Winston Churchill and Margaret Thatcher; Jubilee celebrations for Queen Victoria; peace services marking the end of the First and Second World Wars; and the wedding of Charles, Prince of Wales, and Lady Diana Spencer. At 365 feet (111 m) high, it was the tallest building in London for many centuries and its dome is among the highest in the world. 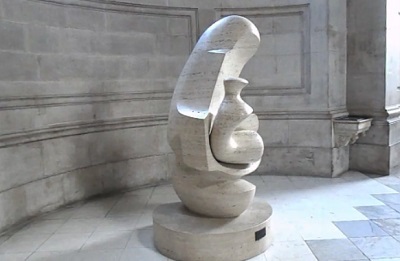 St Paul’s has a large number of memorials and artworks including William Holman Hunt’s copy of his painting The Light of the World, in the north choir aisle is a sculpture of the Madonna and Child by Henry Moore, carved in 1943. The largest monument in the cathedral is the memorial to the Duke of Wellington. The tomb of Horatio, Lord Nelson is located in the crypt, next to that of Wellington. At the eastern end of the crypt is the Chapel of the Order of the British Empire, instigated in 1917, and designed by Lord Mottistone.There are many other memorials commemorating the British military, including several lists of servicemen who died in action, the most recent being the Gulf War. Also remembered are Florence Nightingale, J. M. W. Turner, Hubert Parry, Samuel Johnson, Lawrence of Arabia and Sir Alexander Fleming as well as clergy and residents of the local parish. There are lists of the Bishops and cathedral Deans for the last thousand years. One of the most remarkable sculptures is that of the Dean and poet, John Donne. 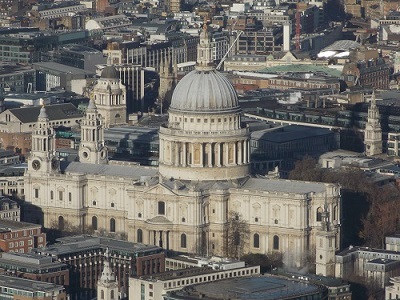 St Paul’s Cathedral is a busy church with three or four services every day, including Matins, Eucharist and Evening Prayer or Evensong. In addition, the Cathedral has many special services associated with the City of London, its corporation, guilds and institutions. 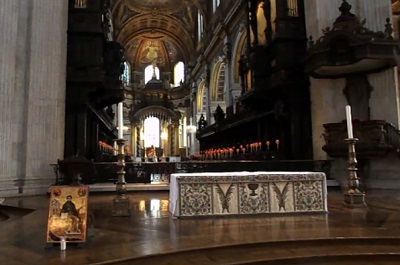 The cathedral, as the largest church in London, also has a role in many state functions such as the service celebrating the Diamond Jubilee of Queen Elizabeth II. The cathedral is generally open daily to tourists, and has a regular program of organ recitals and other performances. 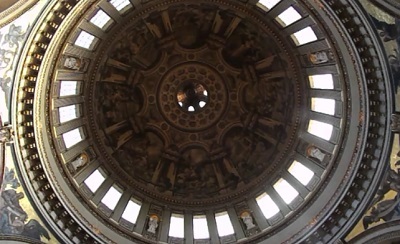 The price of admission includes entry to the Cathedral floor, crypt and the three galleries in the dome. Admission also includes multimedia guides and guided tours (for individuals and family visitors, subject to guide availability on the day). 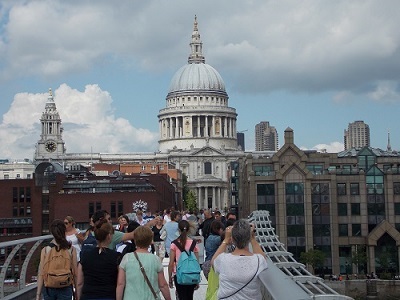 Most visitors spend in the region of 1.5 – 2 hours inside St Paul’s. On Sunday the Cathedral is open for worship only. 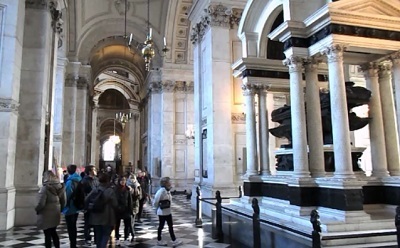 Filming and photography is not allowed inside the Cathedral, but is permitted on the external galleries, without tripods, on a non-commercial basis. Special services or events may occasionally close all, or part, of the Cathedral.